In Might & Magic Heroes Online players are able to step into the world of good versus evil, light against dark, the endless battle between life and undeath as two powerful factions collide in an endless battle and players rise as the Heroes that command the infinite armies that wage it. This free to play browser MMO features strong story driven RPG elements combined with a strategic and tactical based combat system as well as a variety of other staple MMORPG features including questing, crafting, PvE and especially PVP as players can go head-to-head against other users from around the world. Jagged Alliance Online is a turn-based tactical browser game and is part of the popular Jagged Alliance series. Jagged Alliance Online features top-notch 3D graphics based on the Unity 3D engine. There are more than 100 missions in all corners of the world and more than 60 different mercenaries with individual attributes, plus a custom merc representing the player. You can customize your mercs with hundreds of different weapons and countless equipment items and upgrade your headquarters. Jagged Alliance Online offers deep tactical gameplay with a variety of mission objectives and a sophisticated AI with different behaviors for different types of enemies. Atlantica brings back classic turn-based gameplay and marries it to a deep strategic framework that encompasses combat, character/party development and city/country management. Developed by NDOORS and published by NEXON. NDOORS designed Atlantica's combat, mercenary and city/country management systems to set it apart from the rest of the MMO market. The turn-based combat system offers players the chance to strategically plan every move of the nine characters in their group. Players can form teams of three to bring 27 controllable characters into combat. Or for simple fights, players can preset each character/mercenary's skill set and let the auto-battle system resolve the fight. Galaxy Online is a strategic online game combining a powerful battle system and abundant battle expressive force. The game is set across the vast universe, and players from different forces can PK freely. Battles rage constantly and in this galactic sphere, the law of the cosmos rules. Players must promote their strength ceaselessly to maintain their position, and only the bravest and wisest commander can be the King! The game not only offers tremendous battles to engage in but also tests players' strategic design ability. Players need to build a home galaxy as a base, and they need to form a fleet to crusade and occupy more galaxies to expand their strength. Forsakia: The Lost Clans is a 2D, free to play, browser-based, flash, MMORPG which excels with its MMOG gameplay while offering the strong points of small-scale flash games. Set in Jianghu, a fabled land once governed by mighty clans that fell victim to a great tragedy. During a vicious strike a mysterious assassin killed leaders of all clans, throwing the world into chaos. It is still unknown who or what caused their demise, but Jianghu has been immersed in chaos ever since. Now, it is up to the players to restore hope to this world by facing the powers of darkness, defeating monsters, and proving themselves as heroes. 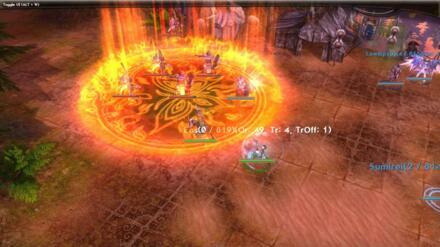 Shadowland Online is a mmorpg browser based developed and published by ZQGame. The title can be played directly from your favourite browser and let the player rule a city and a little army. Your city and your army can be developed and enlarged and the players must choose a starting hero, that will be the leader of the future empire. There is the possibility to build a lot of constructions inside the city walls. The player can bring outside his army to defeat enemies or just complete some PvE missions, that will give him rewards such as money or item. The player will use this money or items to upgrade his buildings but it takes time, because the system works with real-time. In SkySaga players can explore, build and fight their way across a variety of unique realms, dynamically generated worlds known as the Infinite Isles that are accessed through powerful portals allowing players to seek out adventure and rewards in a free to play MMO. The game is an evolution of similar games -such as Minecraft- but boasts far superior graphics, and is a more social community driven MMO where players can group up with ease and stay connected through the main social/quest hubs and three different factions. Developed by Snail Games, The Chosen will immerse players in a vast online world with stunning landscapes, an epic story, endless customization options and animals delightfully powerful to fight alongside them. The heroes will start a journey into a legendary ancient China, where they will need to battle to restore peace in a world torn apart by war. They will be given the opportunity to side with one of five ruling Dynasties within the Human Kingdom, and travel through vast landscapes and historical landmarks while fighting for the supremacy of their empire. In Jungle Was players become the chieftain of their own tribe of savages, tasked with surviving the brutal jungles in which you live you must learn how to live off the land farming food and harvesting powerful mana to build up your tribe in preparation to take out your enemies and defend your village from them. The game offers high levels of strategy with both offensive tactics for taking out enemy bases in real time combat as well as shrewd strategy when designing your own defences with a variety of wall and tower defences. The game is completely free to play and can be accessed easily through your web browser after an account registration and does not require a client download. In Dragons of Atlantis players start life as the ruler of their own fledgling city on the continent of Atlantis, a land destined to fall to ruin beneath the great sea and only those who raise up might dragons can hope to survive. In this free to play city building MMO players will have to do just that; gather resources, build up a city, train a variety of fantasy soldiers for their army and breed powerful dragons that will fight for them. With detailed graphics and in depth features the game offers lots of long term play for dedicated players and can be accessed through your web browser. Atlas Reactor is a unique style of multiplayer turn based strategy where players choose from a cast of interesting characters in this team PVP based free to play MMO and go head to head to battle across a variety of futuristic maps in this sci-fi themed setting. The game has the elements of a traditional turn based game, however players take make their actions simultaneously with everyone performing at the same time; it is a rock-paper-scissors style battle, but not knowing if the scissors are going to be there when your rock comes smashing down. 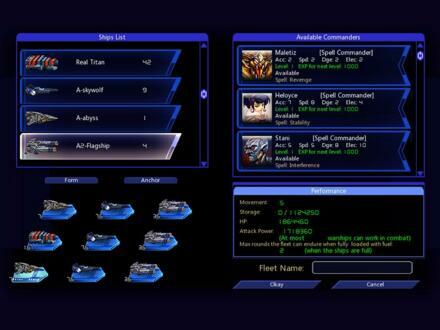 Zero Online is a sci-fi MMO developed by NetDragon that features space combat action. 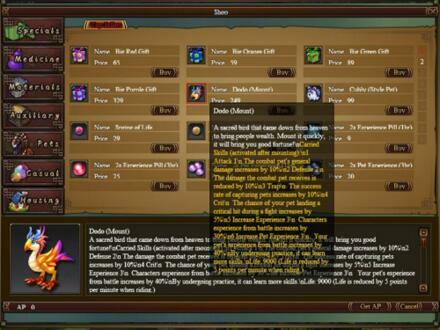 Players can select Infantry, Artillery or Psyche combat classes. In addition, each class has the ability to operate up to three battle mechs and command units - with the ability to transform these units into an assortment of items depending on the situation. In addition to combat and space duels, there are other PvP modes to fill your time. The game features a rich gameplay, unique professions and skill provide unique characters; various missions give players different experiences; weapons and gears upgrading enables the emergence of super-strong robot; the great diversity of transformations endows the players with amazing power. Developed by SkeinGlobe for Windows, Brawl Busters is a free to play multiplayer online action combat game with intuitive and easy to learn controls, innovative gameplay and a variety of single-player and multi-player modes available. Players have full access to five unique classes: Boxer, Firefighter, Rocker, Slugger and Blitzer. Each class has its strengths and weaknesses, own unique moves, as well as an extensive range of customization options and a corresponding weapon type for each class. Nords: Heroes of the North is a Browser F2P MMO Strategy developed by Plarium for Web Browser / Facebook. Nords: Heroes of the North is a MMORTS meets RPG where players are transported to the realm of Shingård where a dark entity has settles on the snowy lands and the dead have begun to rise and turn their sites upon the living as they maraude across the Kindom. Rise as a hero of the North, command your own city, raise an army and become one of the last hopes that can push back this dark foe and work alongside other allied heroes. Focusing on PVE and PVP strategy players can turn their sights on rival players in a bid to become the most powerful Nord in the realm.